THC / CBD Sprays taste great, are easy to use and leave a pleasant smell. THC /CBD Spray patients are finding a new and safer way to medicate with medical cannabis — Discrete, Fast & Effective. The sprays also come in 3 different sizes. 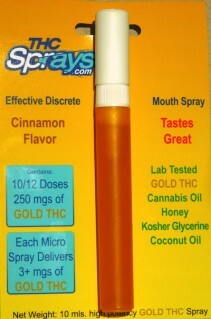 6 ML contains 10 to 15 applications per bottle.- 150 Mgs of lab tested THC GOLD in every bottle. Comes with a soft pliable applicator tip and cap. $30 at your local collective. 3 ML contains 5 to 7 applications per bottle.- 75 Mgs of lab tested THC GOLD in every bottle. Comes with a soft pliable applicator tip and cap. $15 at your local collective. 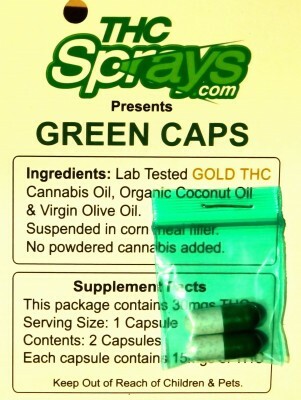 GREEN CAPS come in two different potency strengths, a 15mg lab tested THC mg in each capsule and a larger more potent size of 30mg, lab tested THC in every capsule. These cards comes with two capsules each. At your collective at $6 & $12 per two pack card with full dosing instructions printed on back of card. $20 at your local collective. 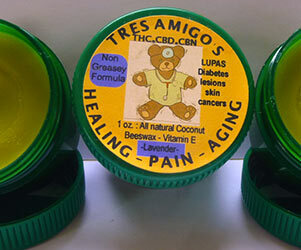 Lab tested THC-CBD-CBN oil in virgin olive & coconut oil with an additional 10 mls of Vitamin E added to every 1 oz tub of Tres Amigos Healing Balm. Mixed with local beeswax to stay firm in warm weather. Ask for it at your local collective. 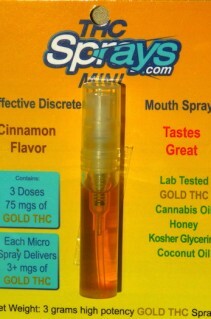 THC Sprays are an amazing innovation and a great alternative to cannibas. Here are just a few of the great qualities of THC Sprays.